1200 Some Miles: UTSA Football: Still Undefeated! 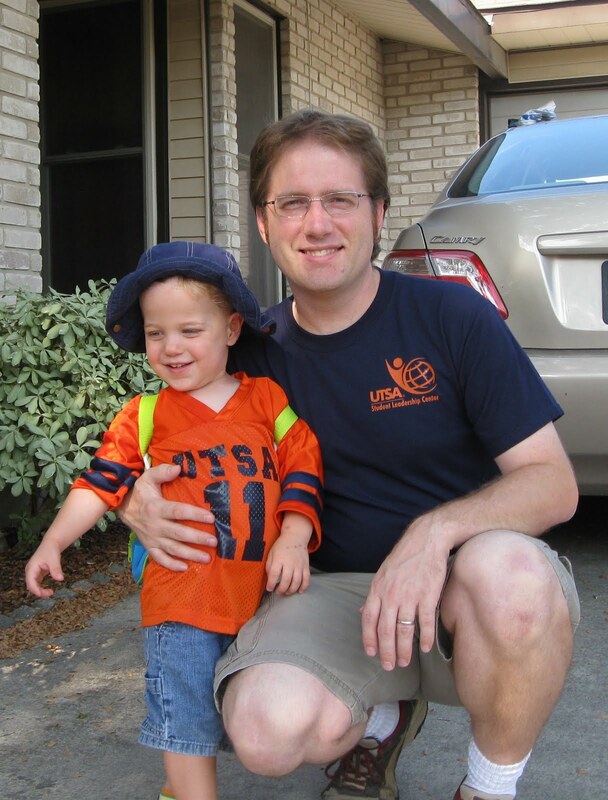 When I started working at the University of Texas at San Antonio seven years ago, I saw a funny t-shirt in the campus bookstore. 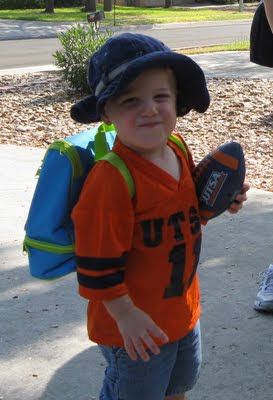 It said, "UTSA Football" on the front and "Still Undefeated" on the back. At that time, UTSA Football was only an idea that people talked about and thought, "maybe someday." The day was today and the bar was set high. 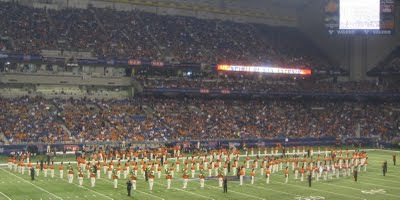 The university hired a well-known head coach and will join the Western Athletic Conference in 2012. 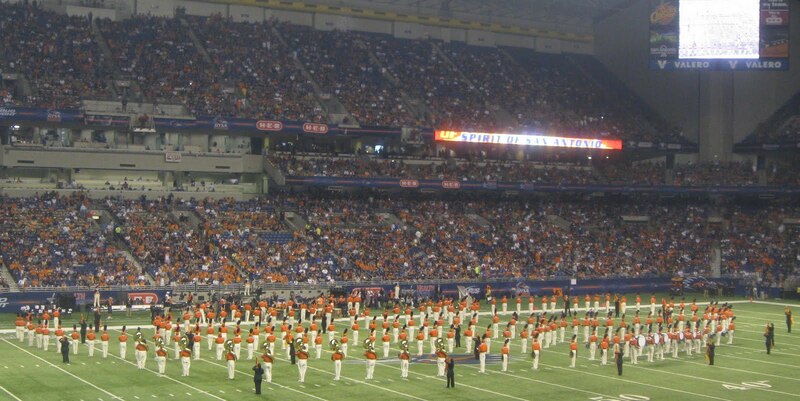 There was no need to build an on-campus stadium since we have the Alamodome in town, but the dome is huge. (It holds 65,000 people.) Even though the first season does not include well known teams, it would be difficult to win with a team made up of so many freshmen and sophomores. Today UTSA made history and exceeded expectations! 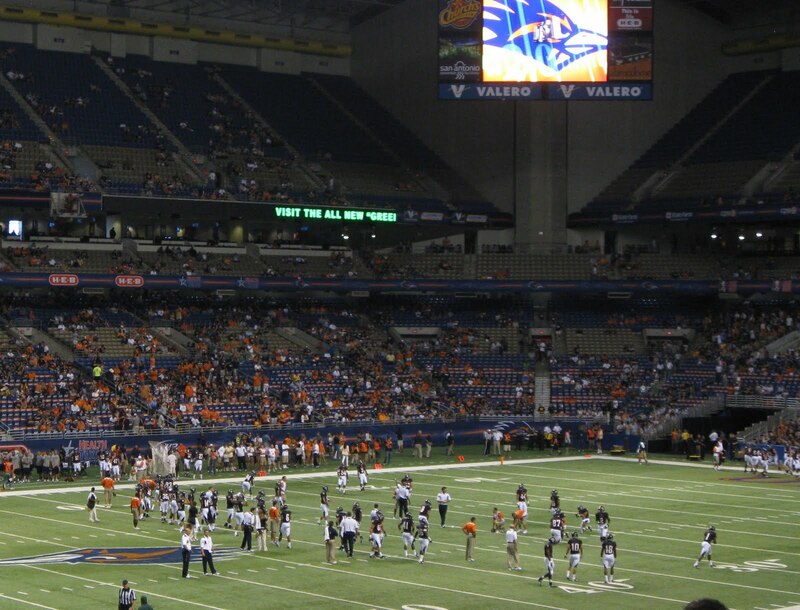 UTSA set a new record for NCAA inaugural football game attendance by packing the Alamodome with 56,743 people. 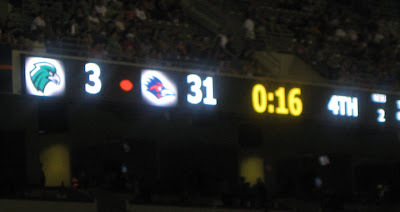 UTSA beat Northeastern State (Coach Coker's alma mater) 31-3. We had a blast today at the game! Alex did well with the crowds and noise. He was sad to leave the game and was asleep in the car as soon as we hit I-10 on the way home. UTSA Football is still undefeated! Go Roadrunners! No need for Jerry's Boys in the Palace, when we have the Runners in the Dome!